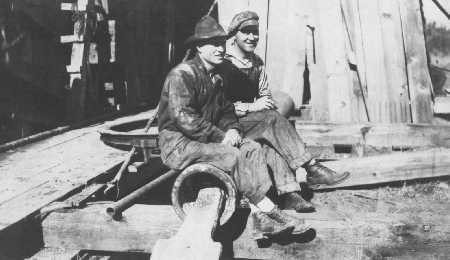 Here's a relief Driller and Tool Dresser resting after a 12 hour shift. In the 20's all the work shifts were 12 hours. Normally 12:00 Noon to Midnight; and Midnight to Noon. This was taken when the crews were relieving each other.